DPF cleaning specialists DPF Clean Team have revealed their top 10 vehicles in 2015 needing their DPF cleaning expertise. Their in house data reveals that the mighty Mercedes Sprinter van tops the list of commercial vehicles while the Mazda 6 tops the cars. The Mercedes Sprinter is a very popular van of choice for couriers in the UK which is why we are not particularly struck by their findings. The start stop nature of courier use coupled with short journeys are a sure fire way to hamper with the vans ability to regenerate the DPF effectively. Considering the number of disgruntled Nissan owners we hear from, we’re very surprised that none of Nissan’s vehicles has made the cut. More on my issues with my Qashqai DPF problems here. The above is wise advice from the guys at DPF Clean Team. Recent changes in the MOT rules mean that from February 2014 MOT testers are required to check for a the presence of a DPF filter. You can read more on MOT DPF rules here and also on the GOV website. If you’ve had issues with your DPF Diesel particulate filter then please feel free to get in touch by using the comments form below. This list only relates to the most frequently handled DPFs by the DPF Clean team, it has nothing to do with the vehicles with the ‘most DPF problems’ it simply points out that cleaning these filters is the cheapest alternative compared with a new part (either aftermarket or OEM). There has obviously been no comparison to the sales of new OEM or aftermarket DPFs what so ever. 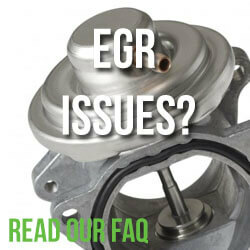 The availability of new aftermarket DPFs is growing as is the influx of new units only available from OEMs. So claiming these vehicles are the top 10 vehicles with DPF problems is not politically correct. The PSA range of filters are as cheap as chips and I bet they out rank the sales on a month by month basis but funny that no mention in the list, that’s because cleaning is too expensive. I have a volvo c30 1.6d drive e 2010 model, 45k 2/3 of those mile are motorway miles and I was getting the message on the dash. When I spoke to the volvo service centre that missed this issue when they changed some engine management module, they still missed this fault twice after servicing my car then told me it was an historic fault even though they told me the dpf is good for 100k miles. Do I have any possibility of geting a replacement even though the warranty has finished on the grounds of it being faulty from the factory? Surely the dpf is not doing the job it was designed to do after such low mileage especially as most of those miles were motorway miles (london to liverpool and back every 2 months) also after reading the handbook that a journey of at least 20 minutes is best to keep it at peak performance, this in mind and very few journeys in London are less than that anyway. There must be a fault with the system!! I bought a Nissan Qashqui 1.6 diesel, 2 years ago. I spent all my savings! The salesman did not discuss my driving habits or tell me about the dpf. Completely ignorant about cars, I was thrilled to own my first ‘modern’ car. It had done 28 thousand miles and was a 2012 ntech. Last week I was told I needed to replace the dpf at a cost of 3 thousand pounds! The warning light had come on 5 weeks earlier, I contacted them and was told to take it for a long drive, no mention of engine revving etc! I went mental, I have never cried so much and stood in the middle of the showroom telling everyone in there about how Nissan failed me! I felt deceived, distraught and disgusted! They reduced the cost to £933 but my argument is that I was never told about this or asked about my driving plans. They have now offered me a swap with a petrol Qashqui, but I still have to pay a thousand pounds! I have now taken it for an engine regeneration which has worked (Nissan told me that hadn’t worked!) and I have decided to keep my car and try and manage the problem! I’m so upset! I will buy the cleaner stuff, has anyone used it yet? My sympathies go out to all of you who have had this issue. After 18 years my trusty steed a Citroen xantia 1.9 turbo diesel is dying and burning her sump oil I have been studying sites such as this to try to develop some knowledge on modern diesels. I have also been chatting to others who drive diesels and change them roughly every five Years. I have been advised that a normal drive to get the engine temperature up to normal range followed by a five mile trip of motorway or dual carriageway driving in 3rd gear st approximately 3000 rpm should regenerate the dpf the regeneration process begins with a puff if smoke from the exhaust tail pipe st grst and then clears shortly afterwards. I can totally sympathise with Christine Pedder. Having bought a year old Skoda Fabia Scout, 1.6 tdi in December 2011 from a recognised Skoda franchise, the salesman did not inquire about my driving habits, or indeed told me about the dreaded DPF which was tucked away in the engine compartment. As the car has a VW engine, I have had correspondence from Skoda that the emissions system would need to be assessed during the early part of 2016. (Incidentally I am still waiting conformation of this appointment). In October 2015, whilst travelling on the M4 from Port Talbot to West Wales, the engine management light flashed on the dashboard. I continued travelling at a speed in excess of 60 mph, when the engine suddenly lost its power, and I had to pull over from the overtaking lane onto the hard shoulder. I called the AA for assistance and I was told that I ‘did not drive the car as it should be driven’, and we were escorted home courtesy of the AA engineer. The following day I explained the situation to my local mechanic and it appeared that one of the filters in the engine compartment needed to be changed, at a cost of £550. The DPF was not mentioned at the time. Just over a year later, In November 2016, and whilst travelling on the motorway, the glow plug light began flashing on the dashboard. Again, the engine lost its power, and we got home in ‘limp mode’. This time, however, the situation was rather more serious, as the four fuel injection valves had to be replaced, at a cost of £1500. I was told the the diesel fuel was contaminated. My vehicle has just covered 34500 miles. 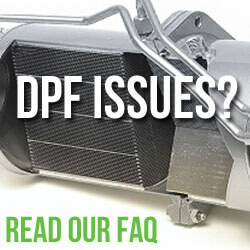 Prospective customers should be warned about the DPF issues and advised on how to keep the filter from contamination. Getting the filter to regen not a problem but the problem I have experienced on two of our vans is the DPF blocking up with ash which you cannot remove only replace. took it up motorway to clear dpf,worked after 30 mins driving at 50 mph.it went again last week but would not clear,phoned bassetts Swansea who unblocked it but charged me 102 pounds labour,when I pointed out car was under warranty they said it was my fault for driving the way I did.i was absolutely dumnfounded.